Car Wash: Hand Wash or Drive-Through? We live in a fast-paced world, which means we end up looking endlessly for ways to save time – and money. And taking care of our cars is no exception. 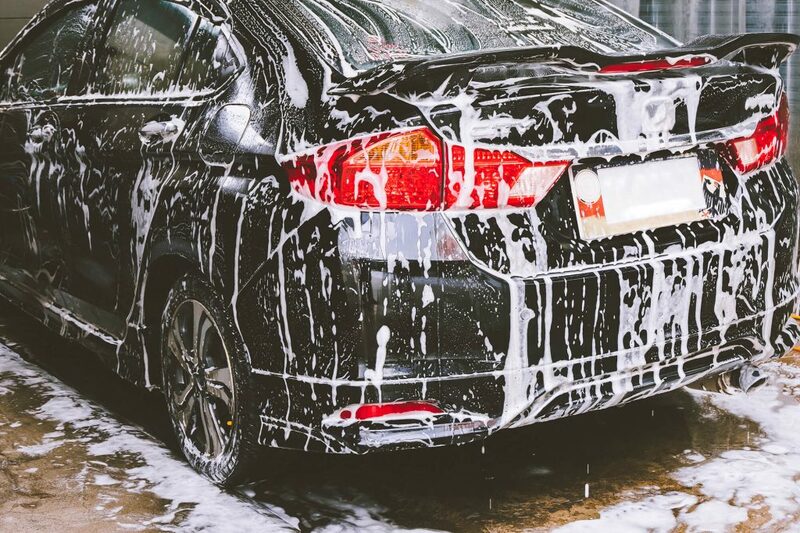 When it comes to keeping our cars clean, we have a choice between hand washing and semi-automated drive-through car washes, with each having its own benefits and risks. With advancements in technology touching every aspect of our modern lives, it should come as no surprise that even washing our cars has become more efficient through innovation. But what should you expect if you choose to have your car washed by an automated drive-through system? Saves Time: Automatic car washes are extremely time efficient. Most drive-through car washes will have your car’s exterior looking shiny and new within 5 to 10 minutes. Protects Your Car: Drive-through car washes are fitted with brushes that are very effective at cleaning even the grimiest of cars, but gentle enough to ensure that your car’s paint job never gets damaged. Tailored to Your Car’s Needs: Many drive-through car washes now allow you to select combinations of washes and finishes. Not only does this save you the time and hassle of deciding what products to use on your vehicle, but also the manual labour needed in applying multiple treatments in a single operation. Expensive: Automated car washes can be quite costly in both the short and long-term, with many offering special add-ons that your car may not even need. May Leave Streaks: While it’s true that you can tailor the drive-through car wash to use settings suited to your vehicle, some older car washes still use dryers that are not strong enough to thoroughly dry your car and you may find your car covered with water marks and streaks. You Can Easily Reach Tough Spots: As you are physically in control of what areas are focused on, you are more easily able to clean some tricky areas that automated car washes can’t get to. Accessible: In washing your car my hand, you only need access to water, a bucket, and a reliable sponge, so you can clean your car wherever – and whenever – it is most convenient for you. Scratches: If you aren’t careful with the sponge or cleaning cloths you choose, you could end up damaging the paint on your car with micro scratches that become more noticeable over time. Replace your sponge regularly and try to stick to using microfibre cloths. More Time and Energy Is Needed: Washing your car by hand is labour intensive and taking short-cuts – or not putting enough effort into it – will quickly show. If you want your car to look fantastic, you need to commit energy and time. These are just a few of the things you need to consider when choosing between washing your car by hand or taking it to an automated car wash. There is no right or wrong approach and ultimately it comes down to what you think is going to benefit you and your car the most.